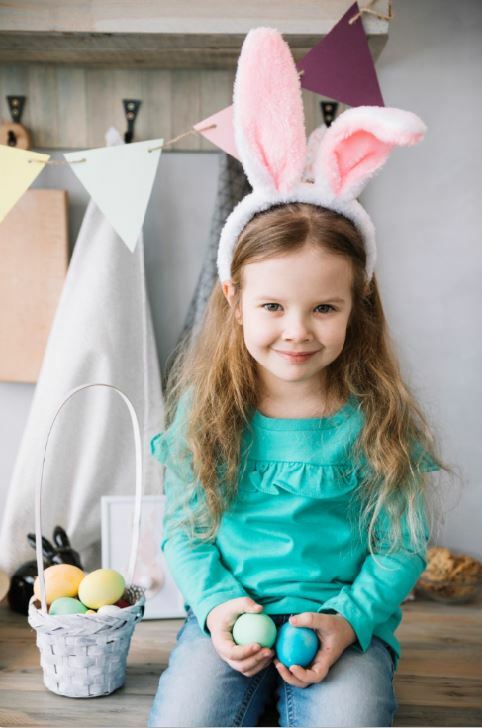 A favourite—and photogenic holiday is Easter, bringing with it colourful Easter eggs to decorate along with exciting egg hunts to participate in and visits with the Easter bunny. It’s easy to make great Easter pictures when you follow a few tips. Whether you’re photographing your kids decorating Easter eggs, running around the house or yard on the hunt for hidden treasures or chomping on the ear of a chocolate bunny, candid photographs are often the favourite captures you can make. They’re natural, with no posing or fake grins filling the frame. Do you hide Easter eggs around the house or garden or do you take your kids to a local park or community event? No matter which it is, these are all great backdrops for making fun photos as your children romp around, basket in hand. Because your little ones will be in motion much of the time, you’ll want to use a fast shutter speed to capture the action. To do so, you can set the camera on shutter priority which will let you choose the shutter speed and the camera will choose the corresponding f/stop. Pick a shutter speed of at least 1/500 of a second to make sure you freeze their movements. You may need to increase your ISO if it’s a dreary day or you’re taking pictures inside without a flash. You can also use the Sports scene mode, which will set the camera for capturing action. Check your camera’s manual to see if yours offers Scene modes. Zoom in for tight shots of your little ones filling their baskets, as well as making sure to take a wide shot to capture the entire scene. Especially if the kids are dressed up for the occasion. Kids love to show off, so asking them to show you their basket full of treats is sure to entice a boastful smile. Even a shot of a young girl or boy biting the ear off a big chocolate bunny will help in your storytelling. 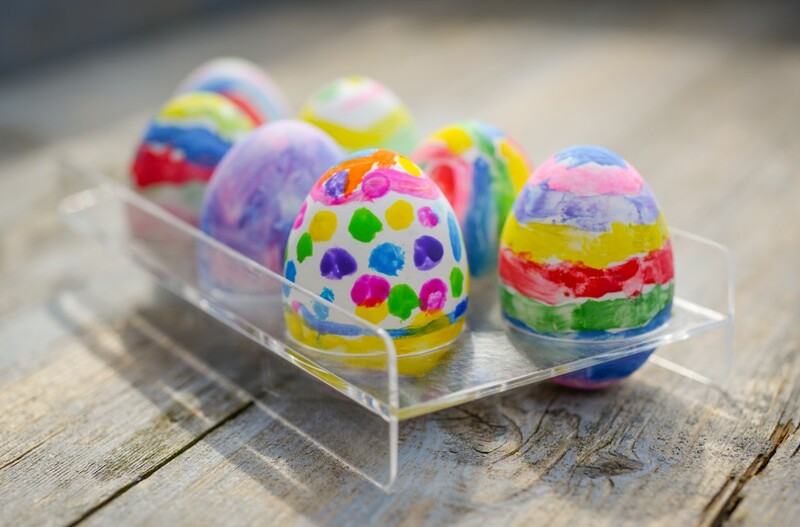 Decorating Easter eggs is a fun family pastime and it can be a treasure-trove of picture making opportunities. Remember to capture plenty of shots before, during and after. You’ll want to take plenty of photos of your decorating station, as well as capture images of your little ones as they try their hand at decorating. Close ups of little hands can be just as wonderful as a wider shot that shows your toddler or child hard at work. You can take nice portraits of your young ones by placing them in front of a solid colored background or one that isn’t too busy looking. 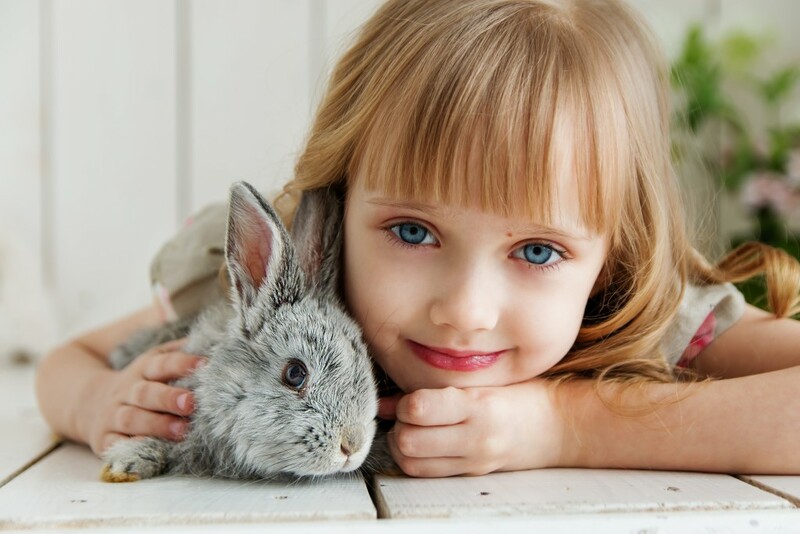 Adding a pair of bunny ears or asking them to show off a new stuffed animal toy will make for fanciful images. If you can, also take one without the Easter props for a more timeless portrait. Don’t forget your furry friends. If your cat or dog will let you photograph them wearing a pair of bunny ears, get a picture of them too! When photographing the action of children running around during an Easter egg hunt, put the camera on Shutter Priority and select a shutter speed of at least 1/500 of a second. For a portrait featuring a background of softly blurred color, set the camera to aperture priority and use the widest aperture on your lens. If you’re photographing children decorating Easter eggs or searching for eggs indoors, use your flash. And if you have a Speedlight that features a tilting flash-head, tilt it up and bounce the light off of the ceiling for a broader, softer light. To be a good storyteller you’ll want to capture wide shots, close-ups, even macro shots and portraits. Capture candid photos as well as photos where you ask your kids to smile for the camera.